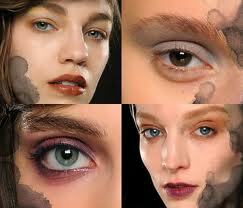 here is a glimpse of the new looks brought by MAC for Autumn and Winter 2011. the styles are: Modernist, Ambre Gris, Tough Love and Disco Tech. this is a contemporary look at an old classic. light lipsticks, winged eyeliner, and lashes lashes lashes. the Modernist brings back the Mod we all love, in a current way. dewy glowing skin is key for this look. Ambre Gris is the romantic look of the season. 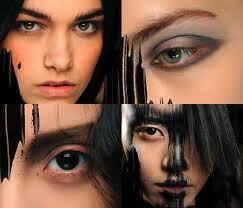 soft lines, no harsh color and diffused pigments. Ambre Gris is the look for lovers. with all the attitude of Kate Moss and just the right amount of smoky, Tough Love works for the leather enthusiast. smoke out your eyes, eyebrows, lips, whatever, Tough Love does not discriminate. Disco Tech embodies all things color. embrace the color of your mood and apply pops of golds pinks and blues in unexpected places.